Our introduction summarises some of the work done in this area. The abstract is below and you can access a pre-publication version here. Food is a vital foundation of all human life. It is essential to a myriad of political, socio-cultural, economic and environmental practices throughout history. As Kaplan contends, “the scholarship on food has real pedigree.” Today, practices of food production, consumption and distribution have the potential to go through immensely transformative shifts as network technologies become increasingly embedded in every domain of contemporary life. This presents unique opportunities for further scholarly exploration on this topic, which this special issue intends to address. Information and communication technologies (ICTs) are one of the pillars of contemporary global functionality and sustenance and undoubtedly will continue to present new challenges and opportunities for the future. As such, this special issue of Futures has been brought together to address challenges and opportunities at the intersection of food and ICTs. In particular, the edition asks, what are the key roles that network technologies play in re-shaping social and economic networks of food? Possible responses to the above question would necessarily be wide-ranging and even conflicting. We introduce a special issue here that addresses the question from multiple perspectives. 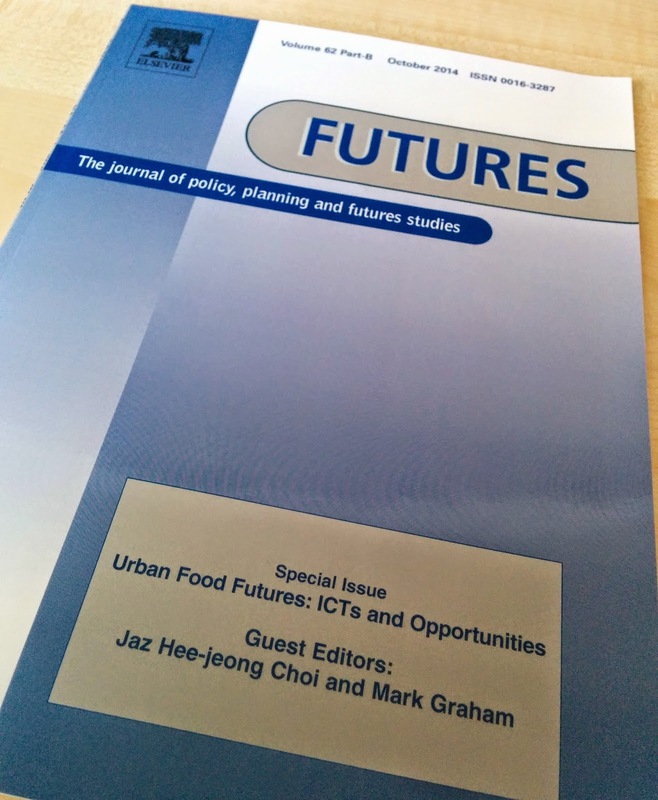 This special issue was born out of a collection of papers that were presented at the Urban Food Futures symposium held in late 2011 at the University of Oxford’s Oxford Internet Institute. The speakers came from a variety of fields, including information technology, geography, business studies, development, and futures studies. Before introducing the papers that make up this issue and the debates and issues that they speak to, we find it useful to reflect on the importance of the coming-togethers of food and ICTs for futures studies. We do that in three ways. First, we focus on the increasing data trails left behind by food as it is moved across the world, and highlight the significant impacts that these food-related data might have on both production and purchasing practices. Second, because our interactions with food are always inherently social, we focus on both the ways that ICTs are able to amplify certain socialites around food, and the broader implications of those amplifications. Finally, we focus on the re-routings of mobility and distribution networks made possible by ICTs and their potential effects on not just food production and consumption, but also the urban and rural infrastructures and spaces that mediate those activities.